The BH Telecom 2009 international chess festival took place in Sarajevo right after the end of the Bosna 2009 super tournament. It included 96 players, 13 of which GMs and was the first event of the Balkan Grand Prix. 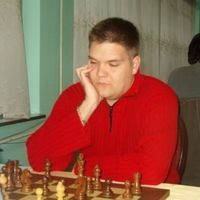 The tournament was dominated by the Serbian GM Nikola Sedlak, who finished with 7,0/9 and did not lose a single game. Another Serbian finished second with the same points, but worse tiebreak – GM Bojan Vuckovic. Third is GM Drasko Milan from Montenegro. The Chessdom.com commentator and collaborator GM Valentin Iotov shared the fourth position half a point behind the leaders. IM Gergely-Andras-Gyula Szabo claimed his second GM norm, only a month after winning the first in Victor Ciocaltea Memorial.